Crookesite: Mineral information, data and localities. 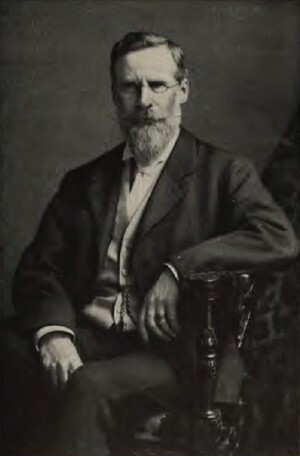 Named in honor of Sir William Crookes (17 June 1832, London, England - 4 April 1919, London, England), chemist and physicist. He worked on spectroscopy, and used that technology to discover thallium in 1861. 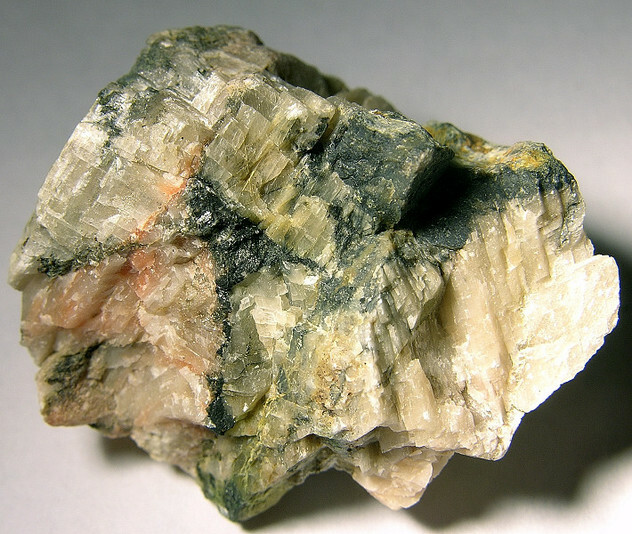 This page provides mineralogical data about Crookesite. Disseminated specks and in veinlets. Calcite 7 photos of Crookesite associated with Calcite on mindat.org. Bukovite 6 photos of Crookesite associated with Bukovite on mindat.org. 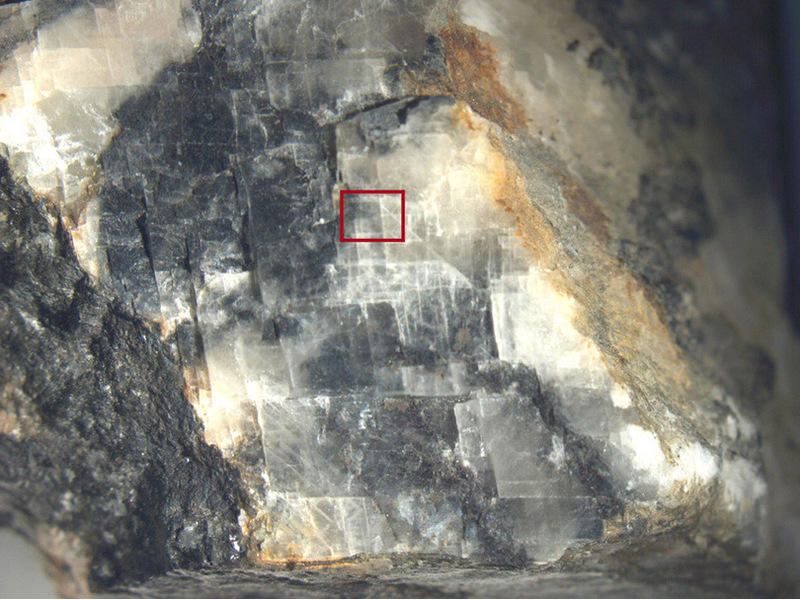 Biotite 2 photos of Crookesite associated with Biotite on mindat.org. Klockmannite 2 photos of Crookesite associated with Klockmannite on mindat.org. 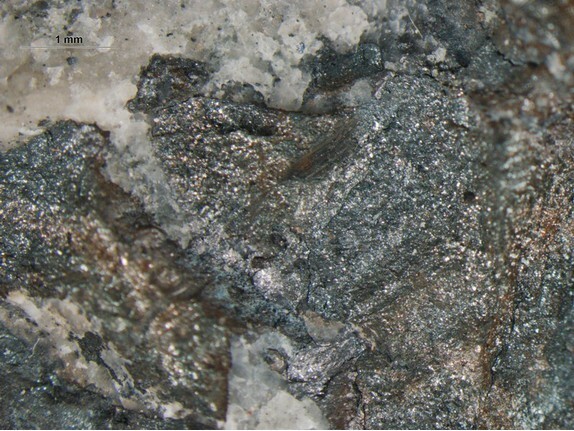 Berzelianite 1 photo of Crookesite associated with Berzelianite on mindat.org. Nordenskiöld, A.E. (1867) Sur les minéraux sélénifères et thallifères de Skrikerum. Bulletin Mensuel de la Société Chimique de Paris: 7: 409-414. Palache, C., Berman, H., Frondel, C. (1944) The System of Mineralogy of James Dwight Dana and Edward Salisbury Dana Yale University 1837-1892, Volume I: Elements, Sulfides, Sulfosalts, Oxides. John Wiley and Sons, Inc., New York. 7th edition, revised and enlarged, 834pp. : 183. Johan, Z. (1987) Crookesite, TlCu7Se4; new data and isotypism with NH4Cu7S4 (La crookesite, TlCu7Se4: nouvelles données et isotypie avec NH4Cu7S4.). Comptes Rendus de L’Académie des Sciences Paris: 304: 1121–1124 (in French). Berger, R.A. (1987) Crookesite and sabatierite in a new light — a crystallographer’s comment. Zeitschrift für Kristallographie: 181: 241-249. Eriksson, L., Werner, P.E., Berger, R., Meerschaut, A. (1991) Structure refinement of TlCu7Se4 from X-ray powder profile data. Journal of Solid State Chemistry: 90: 61-68. Criddle, A.J., Stanley, C.J., Eds. (1993) Quantitative data file for ore minerals, 3rd ed. Chapman & Hall, London, 120. Khachaturyan, E. A.. (1957): Mineralogy of pyrite ores in the Tanzut and Chibukhla deposits of the Armenian S.S.R. Izvest. Akad. Nauk Armyan. S.S.R., Ser. Geol. i Geograf. Nauk 10 (No. 3), 13-20. Stalder, H. A., Wagner, A., Graeser, S. and Stuker, P. (1998): Mineralienlexikon der Schweiz. Wepf (Basel), p. 126.